As all installers know, when you complete your install of network connected technology, the time bomb begins ticking. You are just awaiting a call from your client advising that one of their devices has crashed or requires update. Well the Krika Mini can be your best employee on site and your insurance policy. We all rely upon devices remaining up and live 24/7 but, when things stop working reliably you start to lose money on travel time and system maintenance. By installing the small Krika Mini on site you can be one step ahead of the game. The Krika is a custom installer oriented service embedded in a smart standalone box that can be installed in all end users’ locations. The Krika Mini is an autonomous device installed on a local network. It is specifically designed for the residential market for example Home Cinema, Home Automation Systems, Network Audio as well as Network IT support systems. Each Krika Mini purchased comes with 5 tokens and one years’ annual subscription to the Krika cloud server for 24/7 monitoring. Upon installation of the Krika Mini, you can allocate a token to the device you wish to monitor and receive, you can allocate your free 5 tokens in this project, or, the tokens can be used in other projects where a Krika Mini system monitoring device is installed. Additional tokens can be purchased as and when required. Every Krika has to be connected permanently in the end-user’s local network to execute the local routine scheduled every 5 minutes. Krika can determine the exact model names, status, firmware, serial number or settings of your Krika compliant connected devices. The dashboard contains a detailed list of all devices connected to the local network. List is refreshed about every 5 minutes. The installer will define the email and/or sms alerts required for most important devices. When a report sent by Krika contains some information requiring to trigger an alert, the hosted services reading and processing the report will send an email and/or an sms to the persons mentioned in the dashboard. NB: This is a Trade Only product, please call for purchase, if you are an Home Automation Installation Business. Krika handles connected devices using their MAC address, even if the IP changes. Krika mini and Krika One has no embedded intelligence and neither contains nor stores any information. Krika mini or Krika One handles only the LAN addressed by the DHCP. A multi-LAN/multi-VLAN configuration requires multiple Krika units. The local-only server (LOS) can handle multiple LANs/VLANs itself. Krika communicate with cloud-based servers through the Port 80. The installation of a Krika mini or Krika One does not require to open specific ports on the router/modem. Krika does not use NTP for clock synchro, avoiding security flaws and network configuration issues on port 123. Updates of Krika mini or Krika One are operated automatically with no intervention required from the installer. Krika keeps traces of virtually unlimited devices found on the local network, and shows up to 254 devices online. Krika can warn you on possible ISP or power failures. Krika is a management tool for devices that are connected to a local network. Krika can not perform a statistical analysis, and can not supervise the actual network. Krika can neither detect bandwidth nor bad wiring problems between two local devices. Krika can highlight connection or instability problems but can not resolve them by itself. Krika does not replace a network engineer and is supposed to be connected to a qualified/certified operational network. Krika mini comes with 5 supervision tokens, unlimited email notification and 100 SMS notifications. Optional annual subscription extensions (per device + a year/12 months additions) via Krika web shop. Optional SMS extensions (per installer/company – 100/500/1000) via Krika web shop. Optional supervision tokens for additional devices (per installer/company – 100/500/1000) via Krika web shop. USB ports will be soon used to connect a 3G/4G, Zigbee, Z-Wave or Wi-Fi dongle. HDMI port is only used to debug if needed (Raspberry Pi). Supervision: Automatically send email or text (SMS) notification if a deemed important devices disappears from the network. Hypervision: Automatically send email or text (SMS) notification if a deemed important status in a devices need attention. Help to understand the behavior of connected devices and the ISP out coming connection with the Network DVR. Remotely reboot or Wake-On-Lan a large variety of device. Once you have established that your network devices and system is stable with satisfactory connectivity, you can de register your tokens and re implement the system monitoring device in another project. The Krika Mini factory resets upon power down so can be re installed on multiple locations. **After the first year there is a hosting charge to the Krika Cloud. Reasons to Choose Krika for your remote monitoring? Why Remote supervision & why Krika? iPort have designed a stylish and practical solution for housing and charging your iPad Pro 12.9. 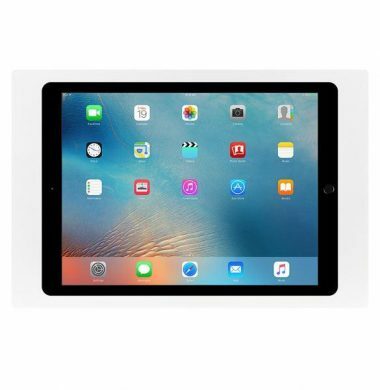 The iPort Surface Mount Bezel for the iPad Pro 12.9 is available in Black, Silver and White. It includes a POE splitter for easy installation. The bezel is slimline and machined from precision finished aluminium, to the highest standard. The Global Cache GC-100-06 Home Network Adapter connects diverse and previously unconnected devices and appliances in a network-based home. Using many commonly needed controls and sensor inputs in one box, the GC-100 provides an easy way for controlling real-world devices, reducing the time and complexity of an installation by eliminating piggybacked components and multiple power supplies. 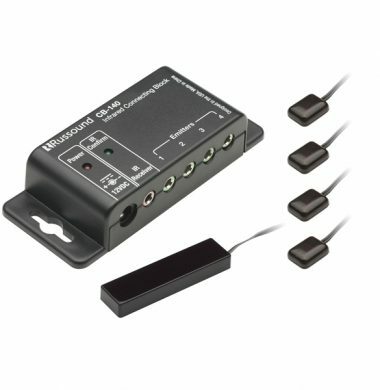 The GC-100 Network Adapter connects a TCP/IP network to infrared (IR), serial and relay communications-including sensor inputs-that can work, interrupt, or be polled by another network device. An embedded web server allows easy configuration from any browser. The new iRoom iDock Aluminium, Landscape iRoom motorised dock is the perfect way to store and charge your iPad Air or iPad Pro 9.7. 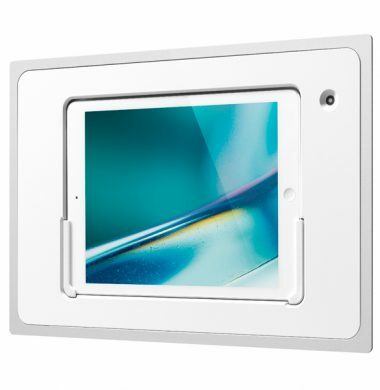 The dock is available as the LBA-5 or the LWA-5, landscape black or white in-wall iPad motorised dock. The iRoom iDock Alu Landscape has a magnetically attached aluminium bezel and comes with the new lighting connector for power and audio connections. 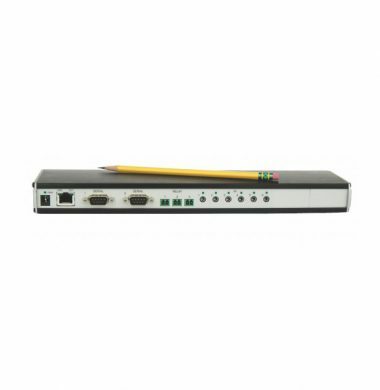 The Global Cache GC-IRE IR Extender extends infrared capability by converting IR signals to digital data, which can then be read from any PC or RS232 serial port. The Global Cache GC-IRE is designed for use with various IR input devices to capture IR commands that can be recorded, played back, and used to initiate actions across a network. The iRoom Glass Line range of iDocks for iPad have the same functionality as the Aluminium range but have the beautiful upgrade of with a glass bezel in either black or white. The new iRoom iDock Glass Line Landscape is the perfect way to store youriPad Air or iPad Pro 9.7. The iRoom iDock Glass Line Landscape has a magnetically attached glass bezel and comes with the new lighting connector for power and audio connections. 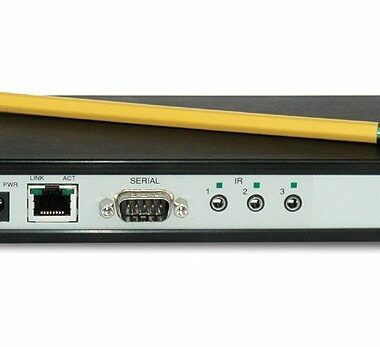 The Global Cache GC-100 range of Network Adapters connect a TCP/IP network to infrared (IR), serial (RS232), and contact closure (relay) devices. This allows the devices to be automated, controlled, and monitored over the network by third party software like iRule, DemoPad,CommandFusion and so on. The Russound new SLM-1K complete IR kit is incredibly flexible and excellently priced IR control kit for installation projects that works well with LED, LCD and Plasma TV’s and is resistant to fluorescent and compact fluorescent (CFL) interference for reliable operation. It is a complete, easy-to-use, infrared extender system. 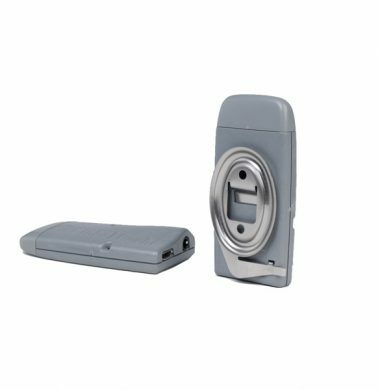 It is designed to allow you to locate your IR controllable devices out of sight, or even out of the room from where the remote control will be sending commands. The new wireless Global Cache iTach Flex is the ultimate smart home automation tool, the small form factor allows it to be hidden out of sight. With the infrared emitters and tri-port splitter cable you can control up to three infrared devices. 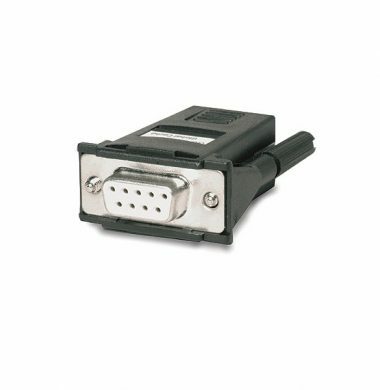 Or choose the RS232 cable to take control of RS232 equipment such as lighting control systems and heating control. 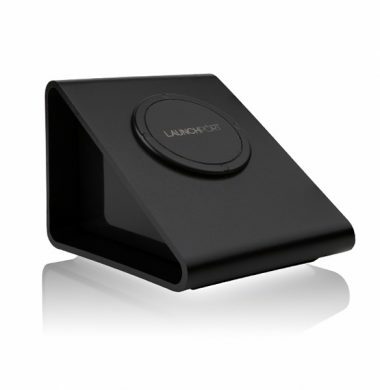 iRoom’s Minidock can be installed both in landscape or portrait position. iRoom‘s minidock is only compatible with the iPad mini. 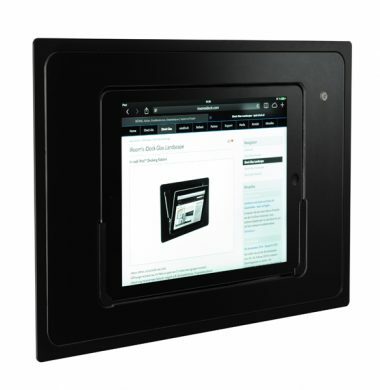 For an iPad installation, we recommend the iRoom‘s iDock. 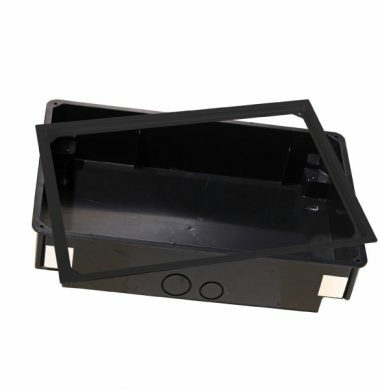 During installation of the backbox (flush- mounted housing) the installer must complete the installation without deformation. All iRoom Mini Dock in wall iPad mounting solutions, should be installed with the appropriate MiniDock Backbox. The iRoom BB-MINI-AB is a black plastic installation backbox complete with an aluminium frame in a black finish. The mini dock mounting box once installed gives a maximum protrusion form the wall of only 2mm. 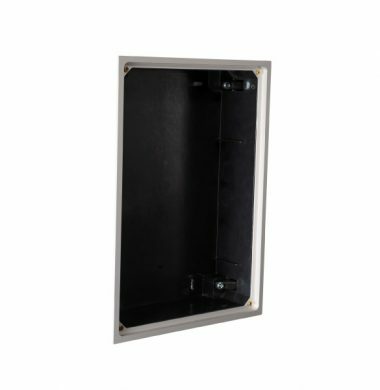 Suitable for dry-wall or brick wall installation the backbox can be installed in either portrait or landscape orientation to suit your needs and environment. The mini dock back box is compatible with iRooms miniDock and miniDock motorised range of in wall docking stations. Introducing the all new iPort LuxePort Charge Case for the iPad Mini 4. 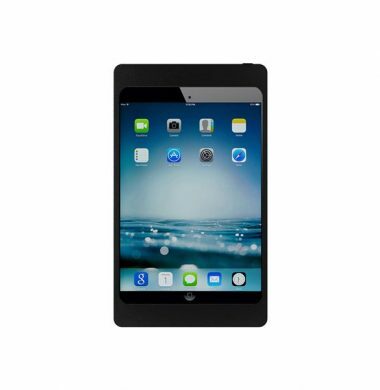 The aesthetically pleasing LuxePort Case fits the iPad Mini 4 and can be used with either the iPort LuxePort Base Station or the iPort LuxePort Wall Station. The LuxePort range of products, offer the flexibility of the LaunchPort range but with added styling and design similar to that of the Surface Mount. The stylish design allows iPad to seamlessly blend into high end offices and residences with precision machined components that are finished by hand.